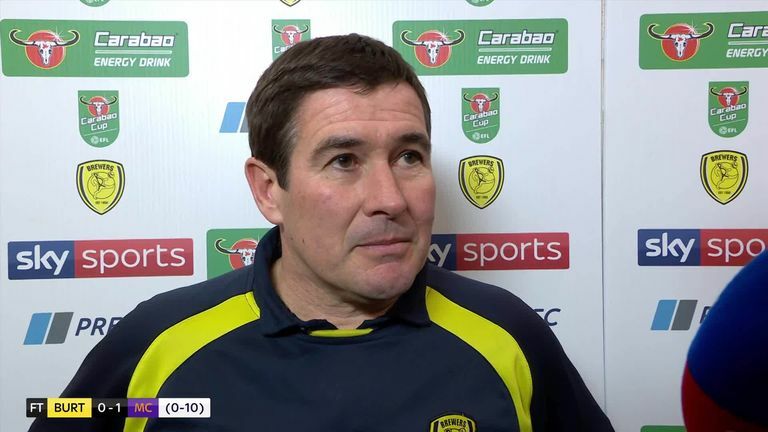 Nigel Clough credited his Burton side with restoring their pride after limiting Manchester City to just a single goal in their Carabao Cup semi-final second leg. 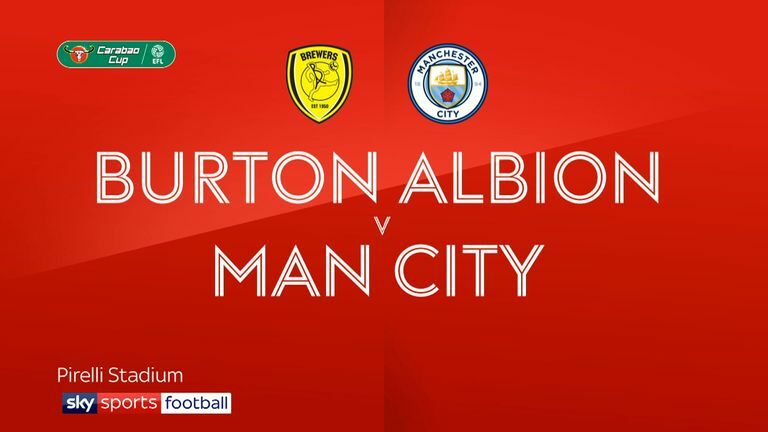 With City's place in next month's already secure after their 9-0 victory at the Etihad a fortnight ago, it was damage limitation for Burton as they looked to avoid the biggest losing margin in League Cup history. But a battling display limited City to few clear-cut chances, while Burton caused the current holders a number of problems in the other direction. "We were close two or three times but I'm very pleased with how we played," Clough told Sky Sports. "We got our pride back. We did everything we could. Being at home, the pressure was off as the tie was over but we put in a good performance against top players. "We were brave on the ball, played it when we could and we caused them problems. "I watched the last few Premier League games and we caused them as many problems as Wolves and Huddersfield did. "The youngsters will learn so much from being on the same pitch as these magnificent players. Their attitude, everything. "Hopefully we have made a few quid from the run but it's more about the experience."